Faery Hair: Faeries Faeries Everywhere! 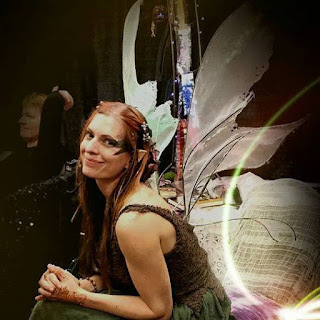 This week is building toward an epic Faery weekend with the grand opening of the Fernie Brae, a Faery themed art gallery and magic shoppe, featuring original Brian, Wendy, and Toby Froud work, along with other prominent faery artists and artisans. I've been asked to bring Faery Hair Sparkles for the weekend events on Saturday and Sunday. Drop by, see the breathtaking art and feel the magic, and get some sparkles while you're at it. <3! This week is already chock full of drop-in hours and appointments, but feel free to schedule something with me if these times don't quite work for you, I'm flexible! Contact: serafaery@yahoo.com or call/text 503-720-5486, or friend me and message to facebook.com/serafaery or facebook.com/FaeryHair <3! Tuesday, August 25th, 3-5pm, Townshend's Tea, 2223 NE Alberta St, drop in! Tuesday, August 25th, 6-7pm, Good Coffee, SE 48th and Division St, drop in! Thursday, August 27th, 11am-2pm, Townshend's Tea, 2223 NE Alberta St, extended hours for pre-Burning Man and Faerieworlds sparkling, drop in! Thursday, August 27th, 4-6pm, Townshend's Tea Division, 3531 SE Division St, extended hours for pre-Burning Man and Faerieworlds sparkling, drop in! Thursday, August 27th, 6-8pm, Belmont Station, SE 45th and Stark St, drop in!